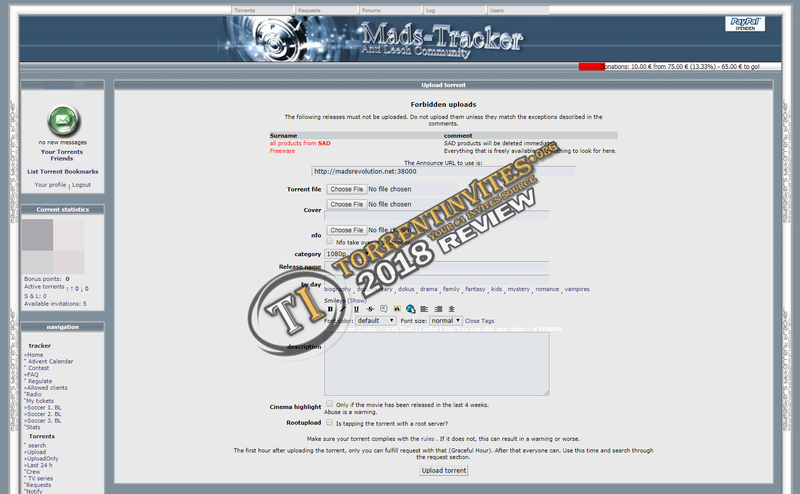 Madsrevolution is a German 0Day/General private torrent tracker with the German Language interface. The tracker only allowes 3000 users and does currently have 7904 torrents, their request fill rate is very solid at 95.5%, but there are little leechers only at 42.85%. gets bonus points depending on their size and whether the uploader has a root or a home line. TheTrader, The Night, jimmy7 and 6 others like this.